Inspired by our Christmas fundraising activities, Wyevale Garden Centre employee Margaret Curran decided to help the Lions herself. Margaret sent one card to her colleagues and asked for it to be signed by them all and returned. For every signature on the card she gave £1 to charity. 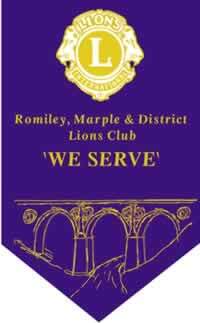 We are delighted to say that the charity she chose was our Lions Club. 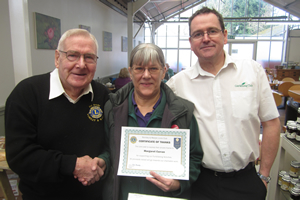 Margaret is pictured receiving a certificate of appreciation from Lion President Pat Brady and Wyevale Garden Centre Manager Karl Warrington.